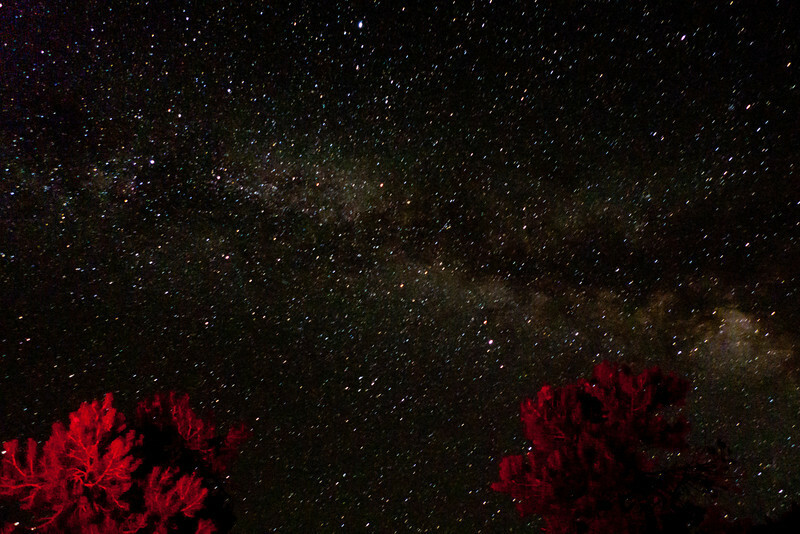 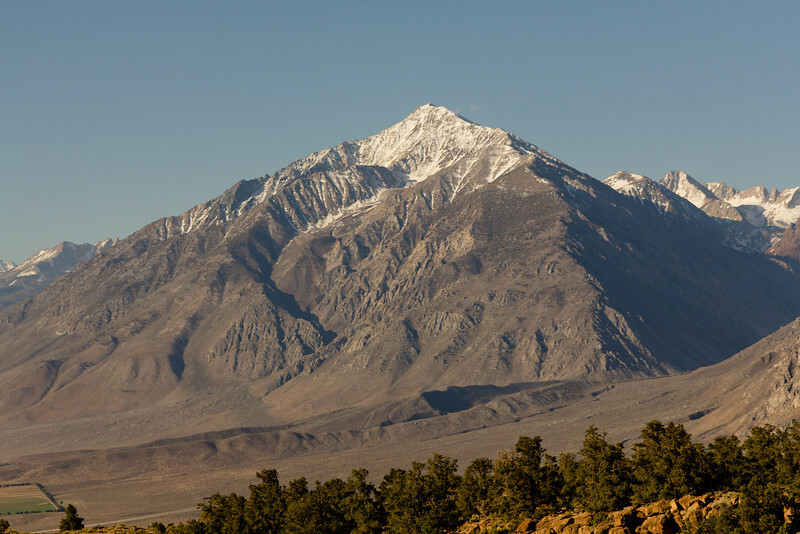 We drove down to Deadman’s Summit by Mammoth to sleep at some altitude on that Friday night, with the goal of heading to Bishop Saturday morning to get permits based on availability. 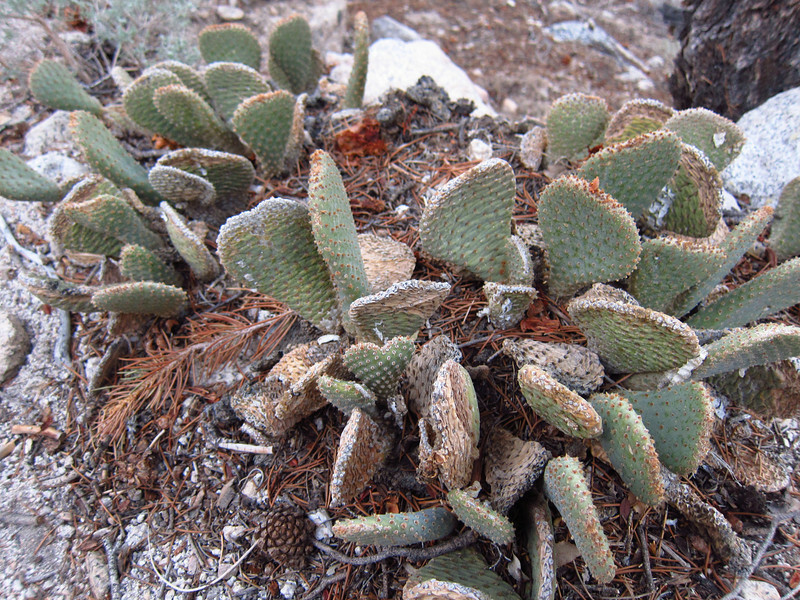 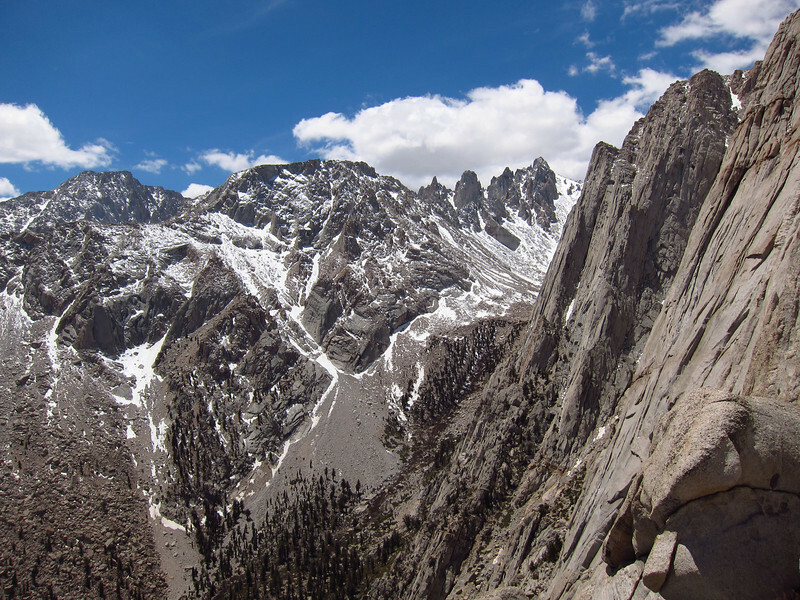 We had initially planned to begin our trip by hiking in the North Fork of Big Pine Creek to climb at Temple Crag. 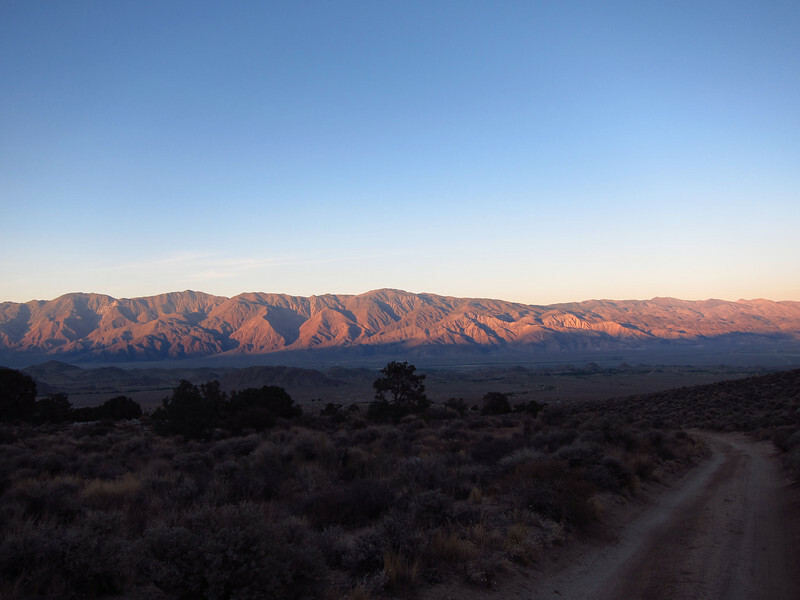 However, upon arriving at the Bishop Ranger Station early Saturday morning, we had arrived just after a group picked up all 14 remaining permits! 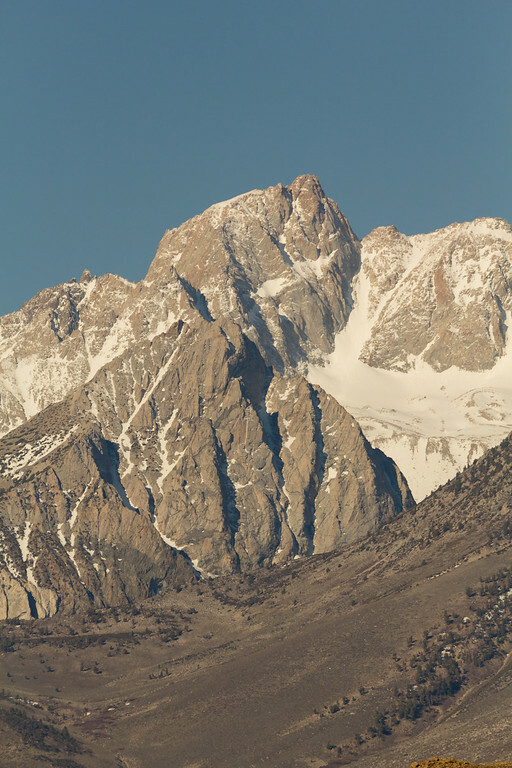 All those beta photos above cost us. 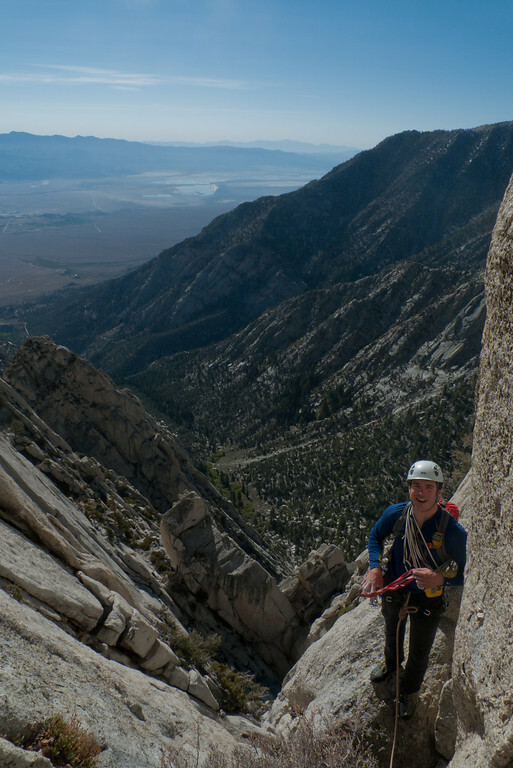 As we discussed options in our potential tick list, we were both still a little hesitant about altitude issues so decided to go climb one of our longest, but lowest, objectives – the Direct South Face of Lone Pine Peak. 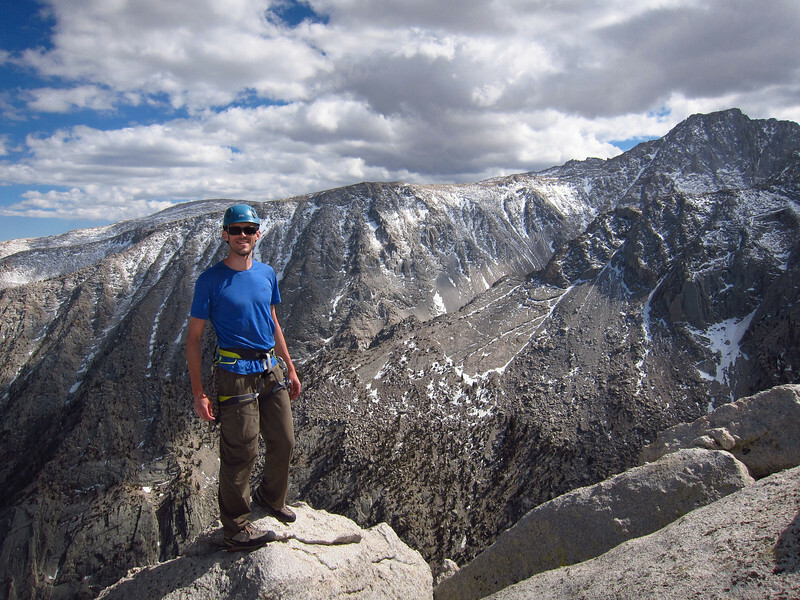 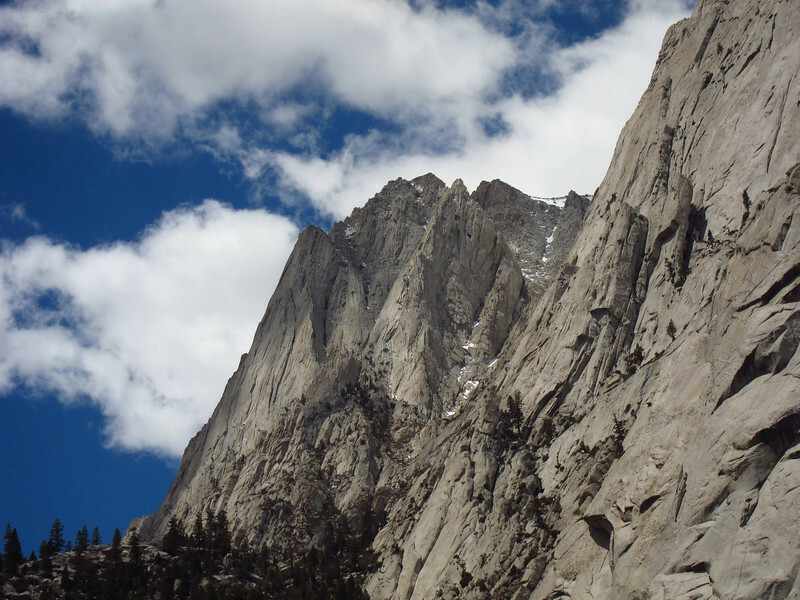 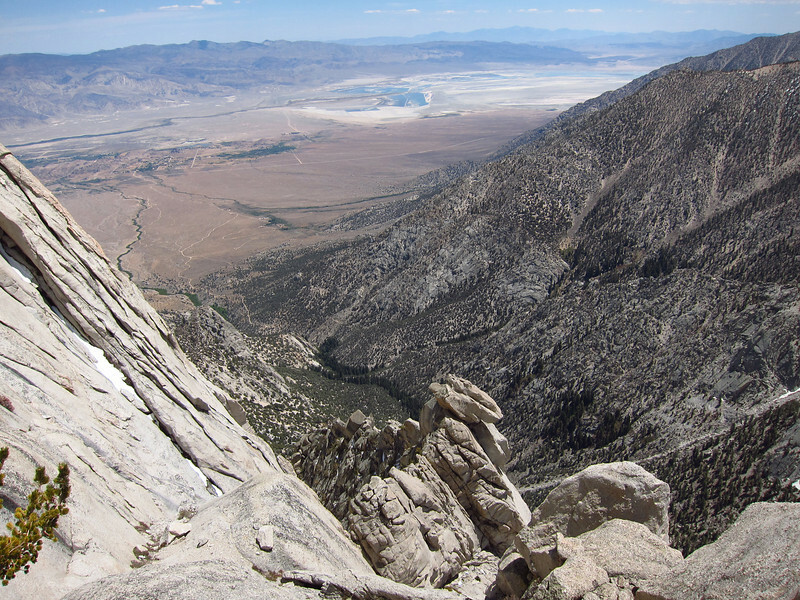 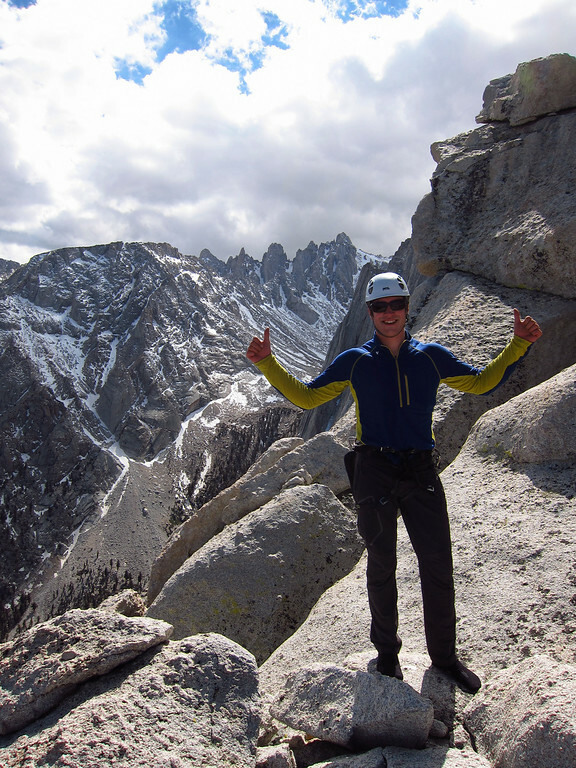 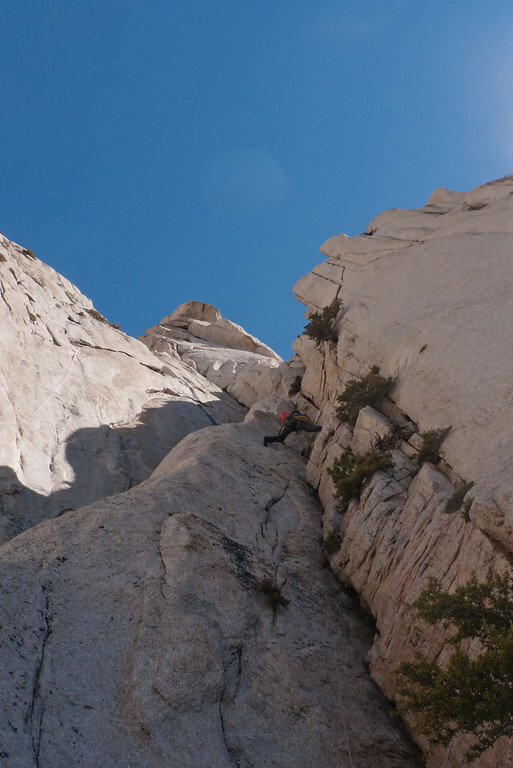 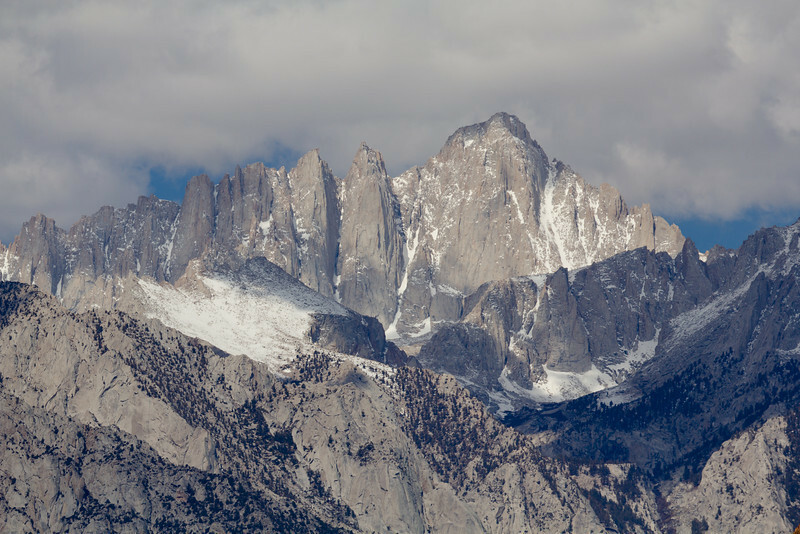 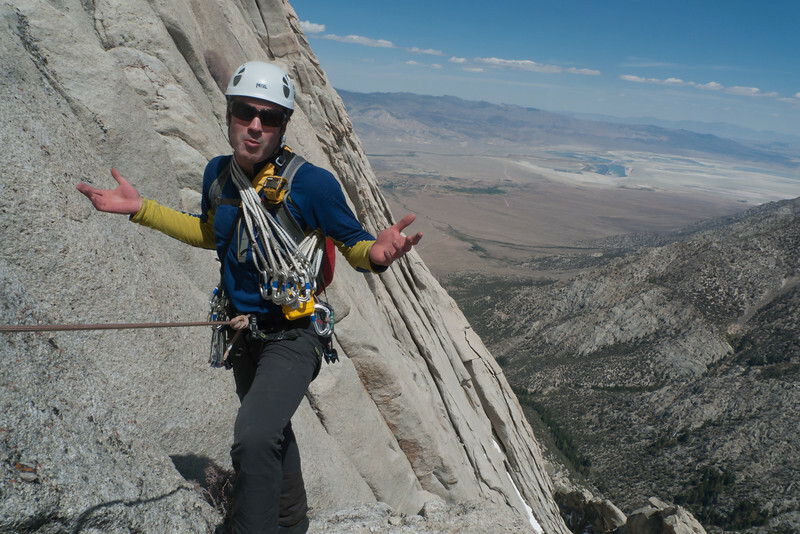 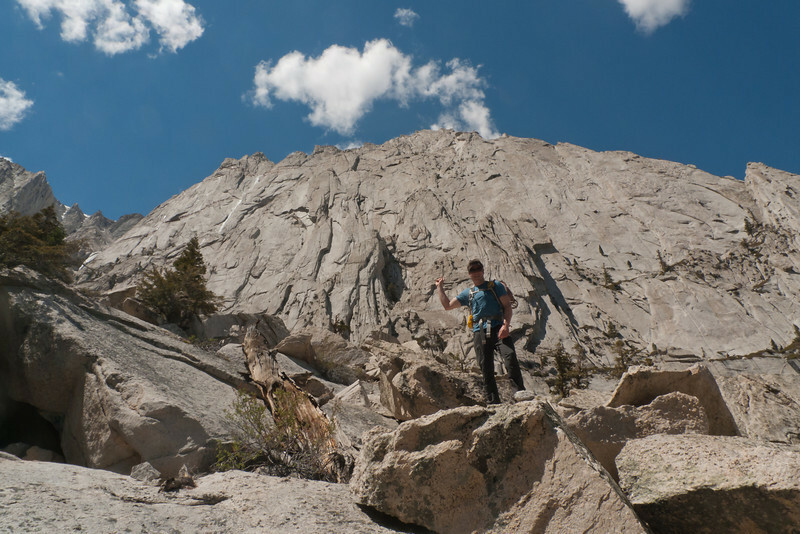 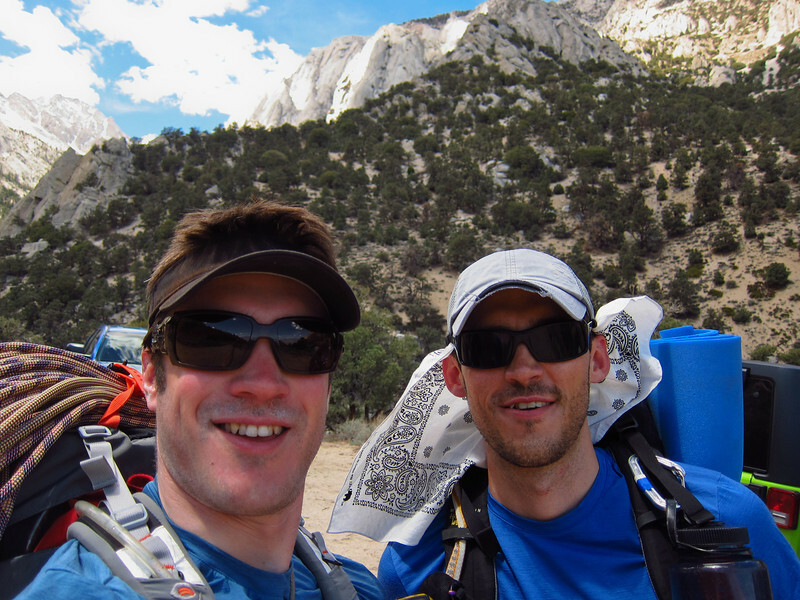 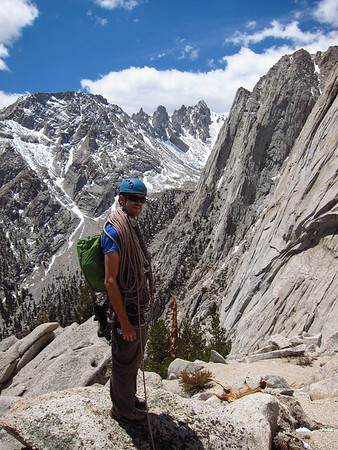 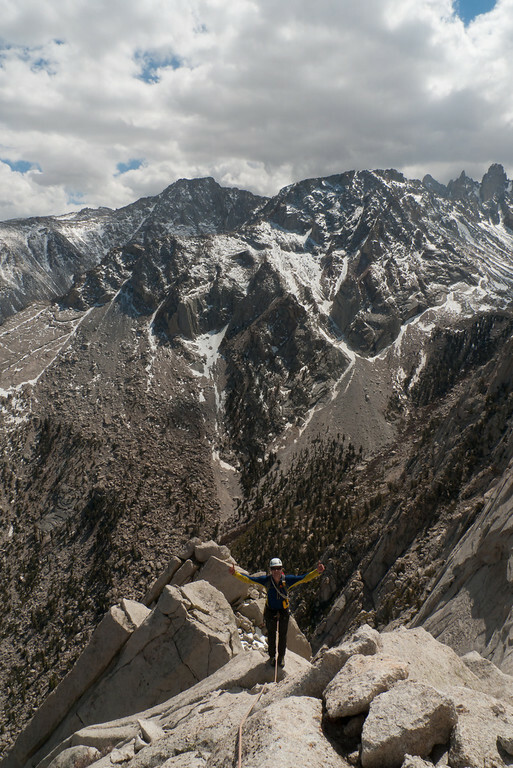 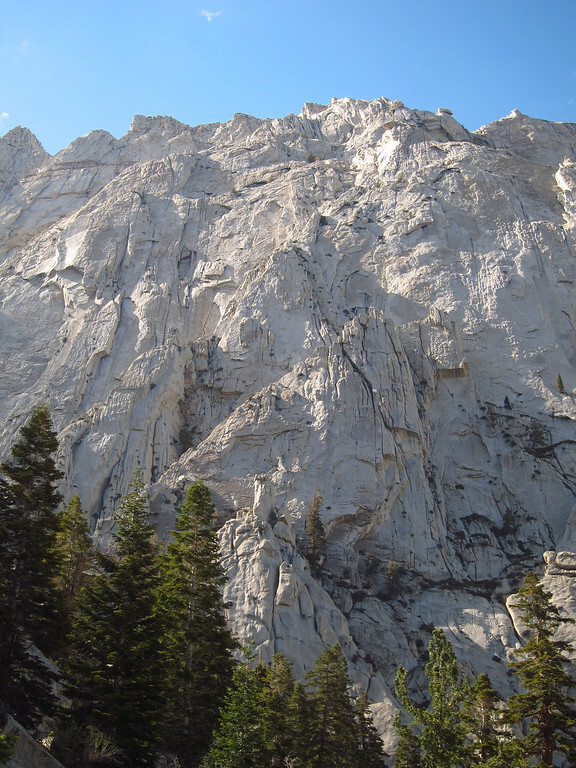 The Direct South Face of Lone Pine Peak is a Grade V route – meaning, very, very long. 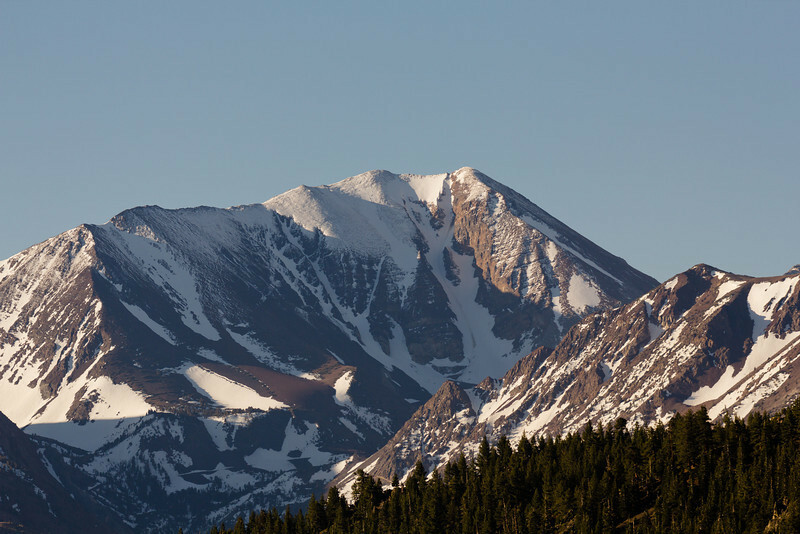 Fortunately, it only tops out at around 11,000 feet (give or take), so we were not worried about altitude issues. 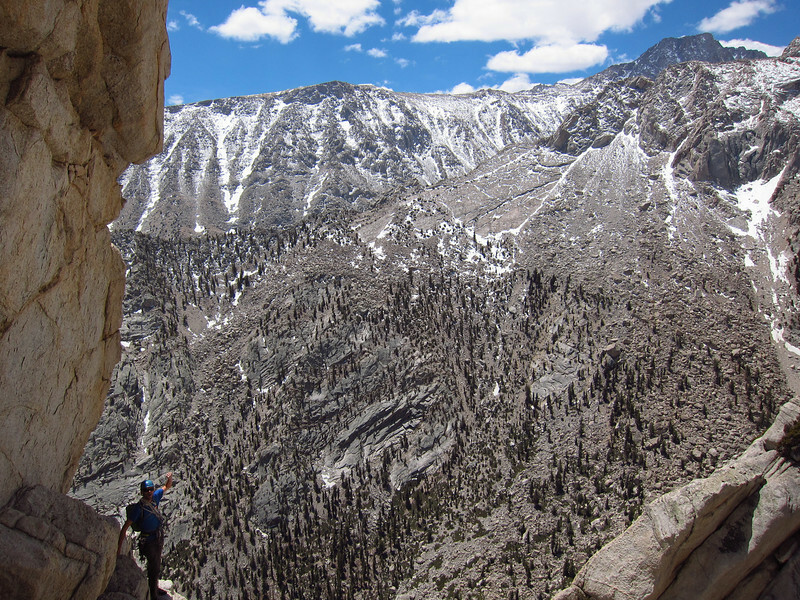 The approach from the stone hut was pretty straight forward – you definitely need to stay high and left in the approach on the opposite side of the canyon. 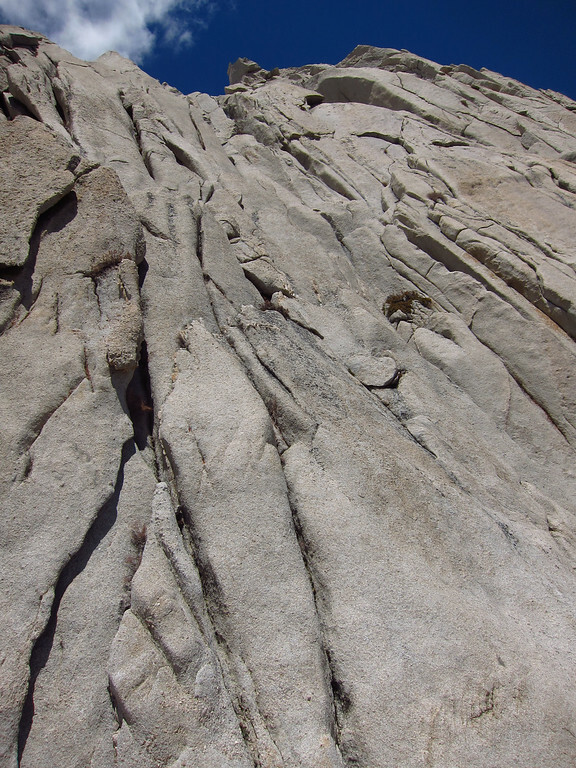 However, our plan of bivying near the base was dependent on one key point – water. 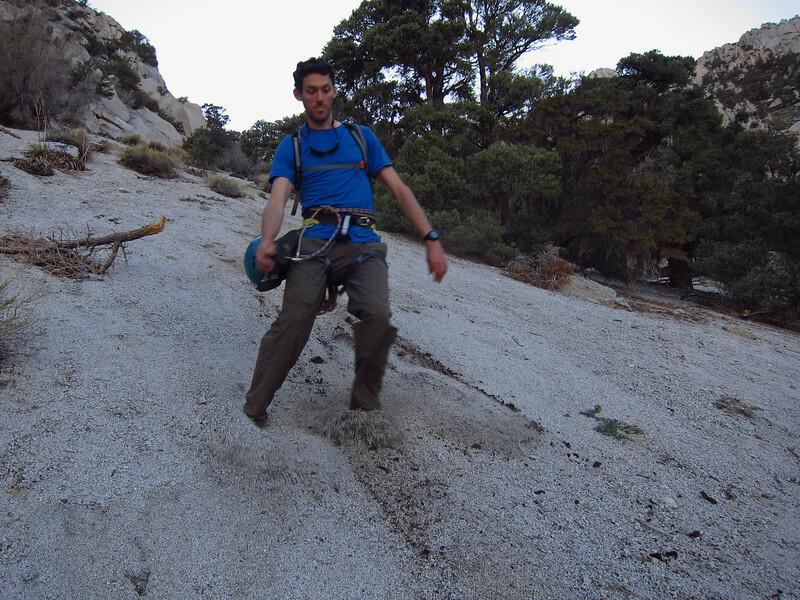 As we continued up Tuttle Creek drainage, we could not find any running water. 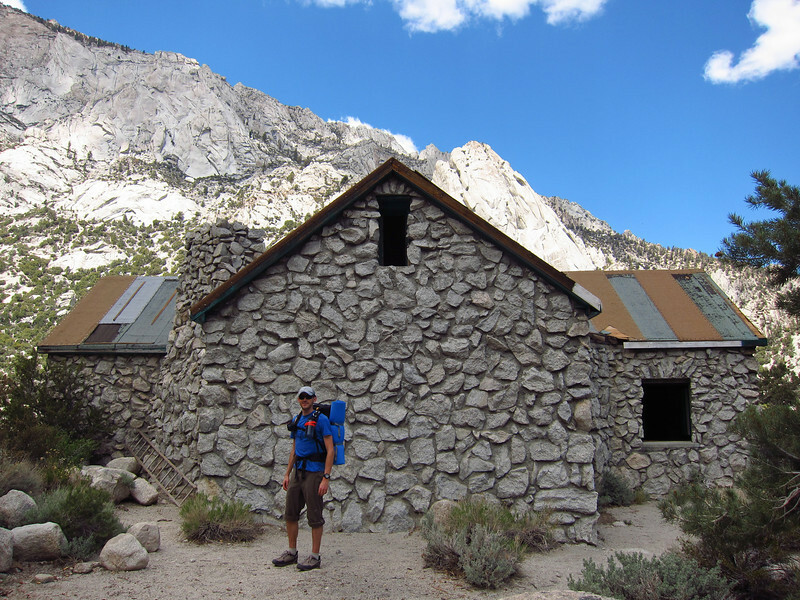 The only water source was down by the stone hut, but we kept moving towards the base of the climb. 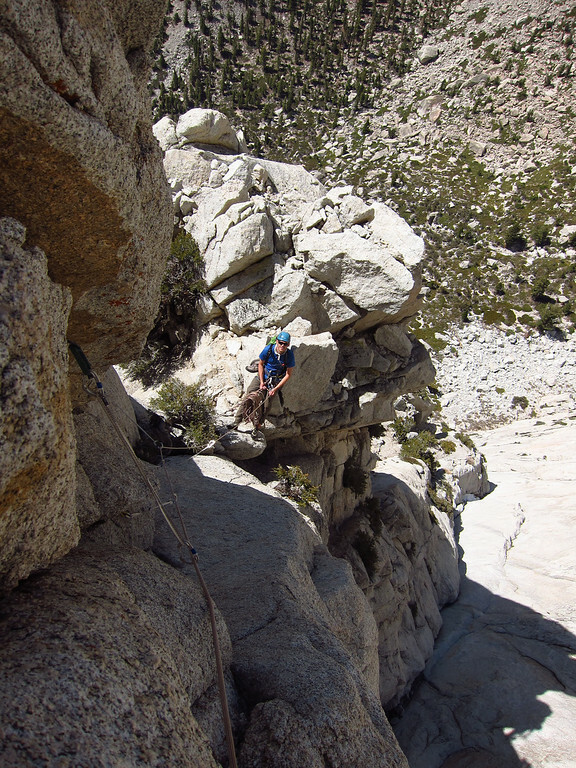 Finally, we realized there was no water up there, so we came up with Plan B. 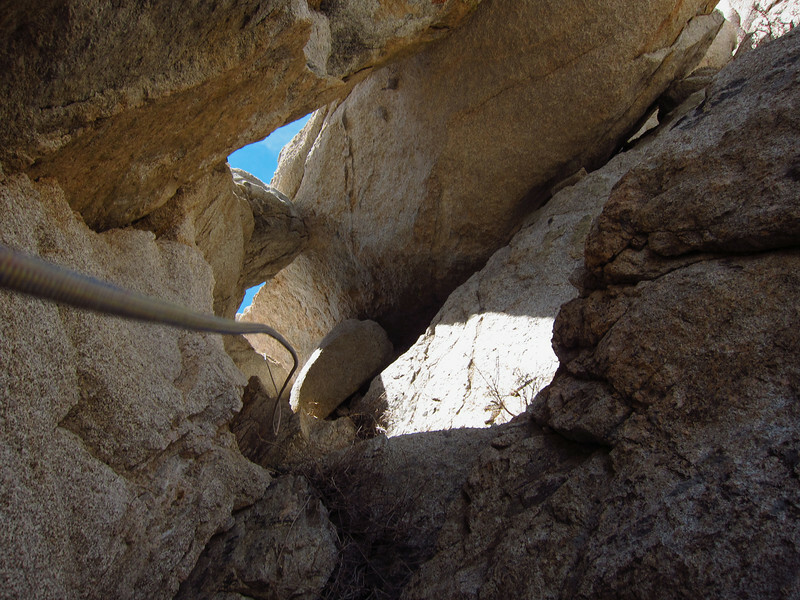 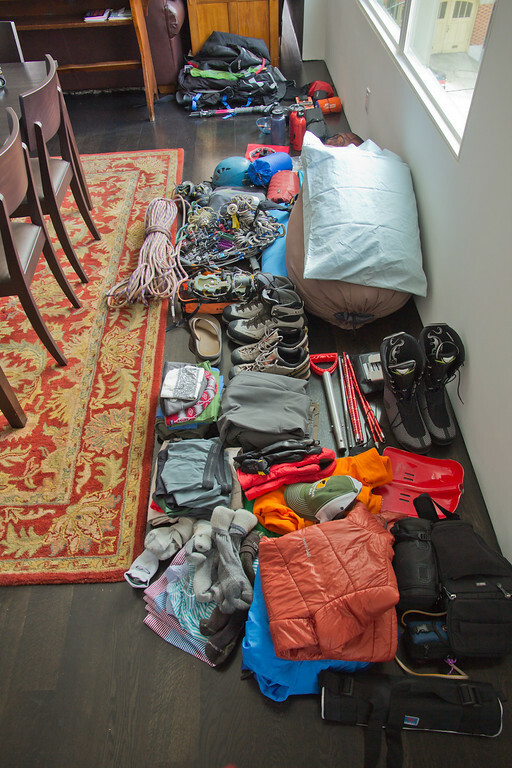 We climbed up the approach gully to the base of Pitch 1, and left all of our climbing gear in a little cave. 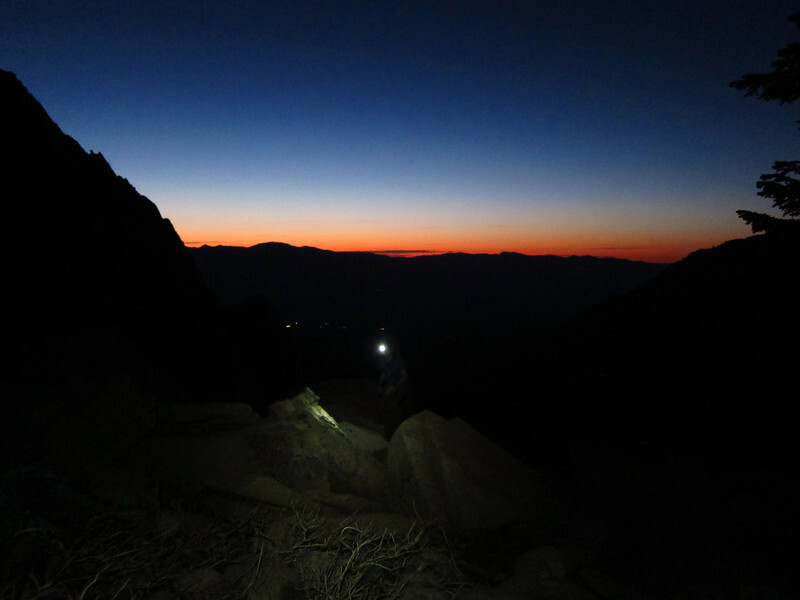 That way, we could sleep down by water at the stone hut, and get up early with little to nothing to carry to the base of the climb except water. 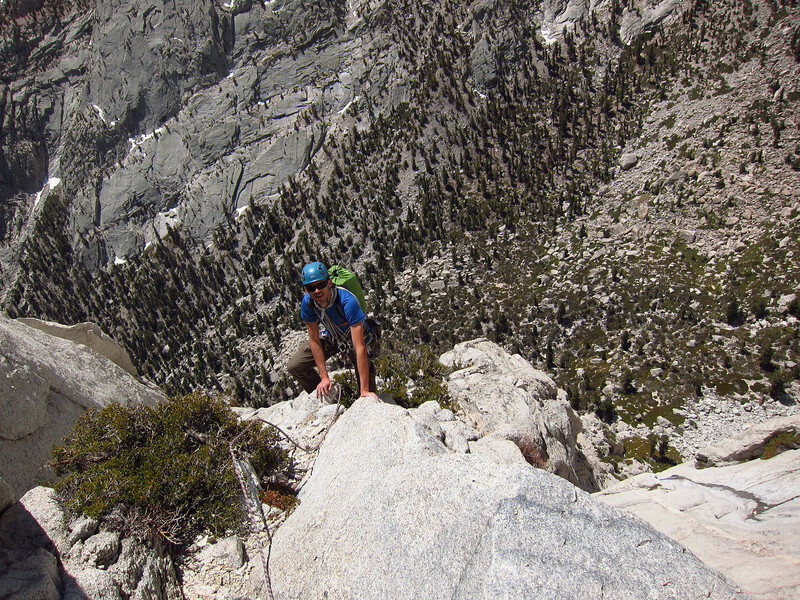 For future reference, I would highly recommend this approach, as the descent puts you way down the road past the trailhead after the climb – and it would be rough to have to hike all the way back up to the end of the climb to get your bivy gear (unless you wanted to climb with it – but who wants to do that!). 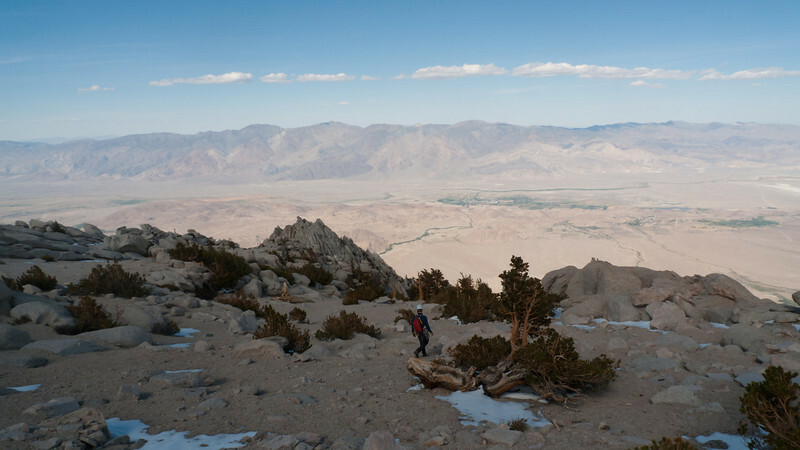 The hike up to the stone hut from the trailhead after the climb was not awesome, but definitely not bad as you are at least on trail. 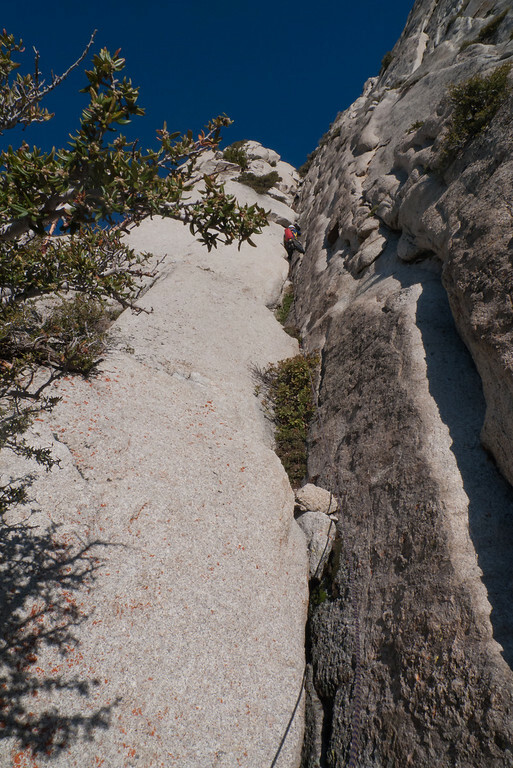 I took the 5.7 squeeze chimney – it is extremely run out and was not fun to put it blunt. 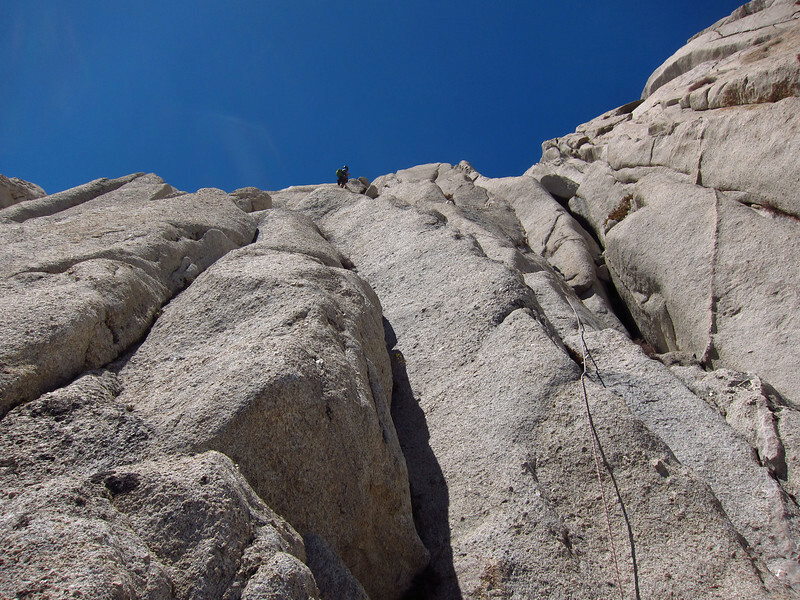 I hate chimney climbing, in particular squeeze chimneys with a pack hanging from my harness. 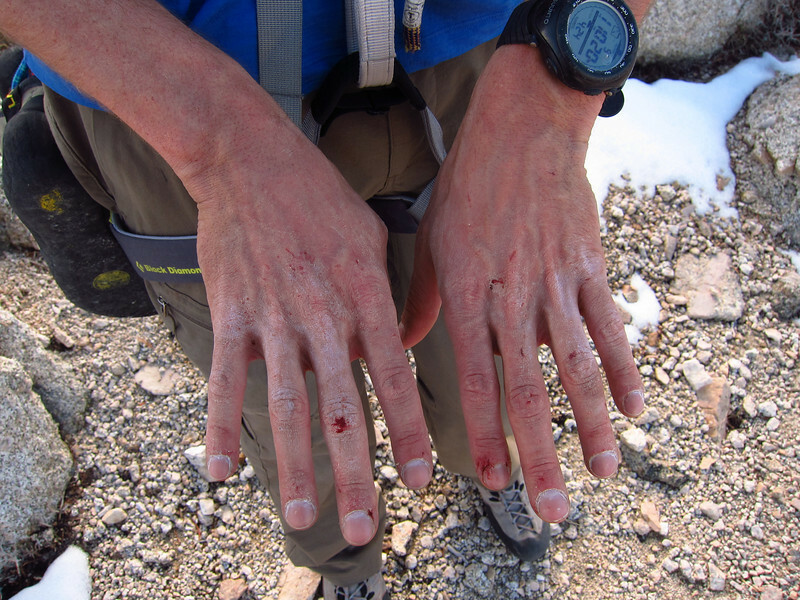 I got pretty cut up and dirty, but after that pitch it was more or less smooth sailing and became incredible climbing for the remainder of the route. 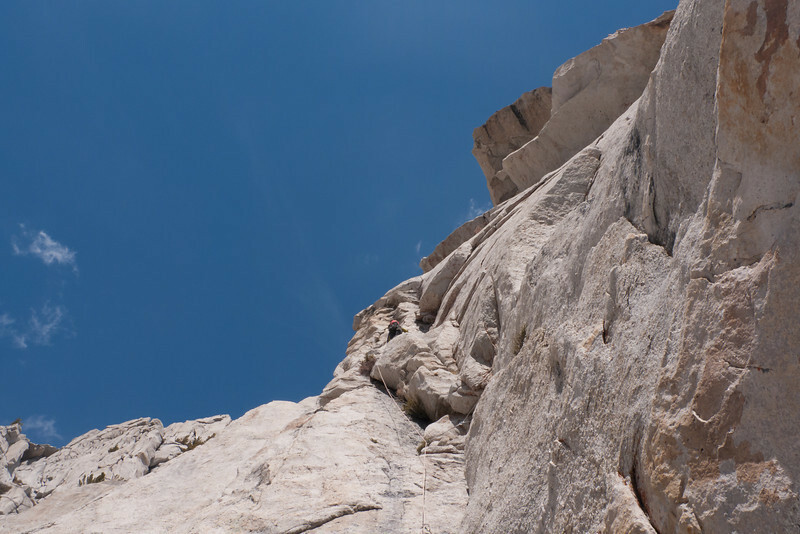 I did try and avoid another chimney on the third pitch and went out on the face – the rock is very loose down there. 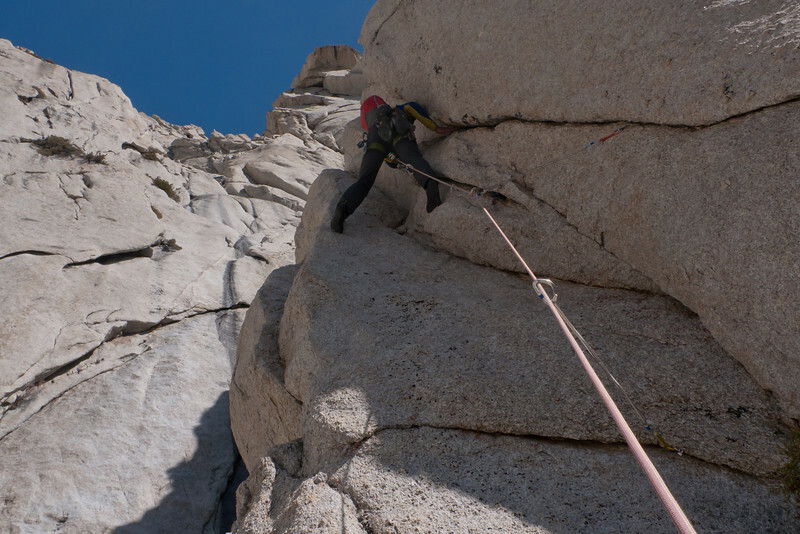 I would recommend staying on route – and once you are beyond Pitch 4 you are all set as the rock is great for the remainder of the climb. 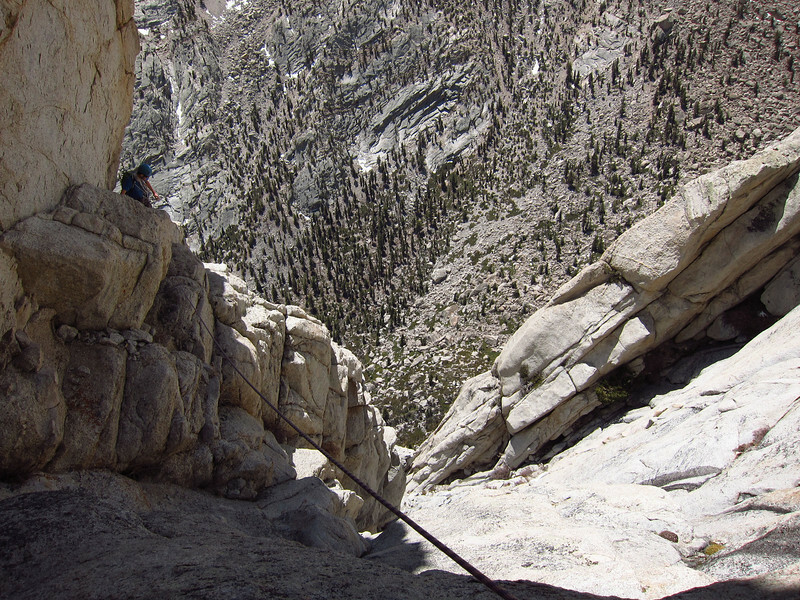 Unfortunately, at the bottom you are on the other-side of a deep gorge from your car and you have to walk down a road until a “trail” crossing the river is visible. 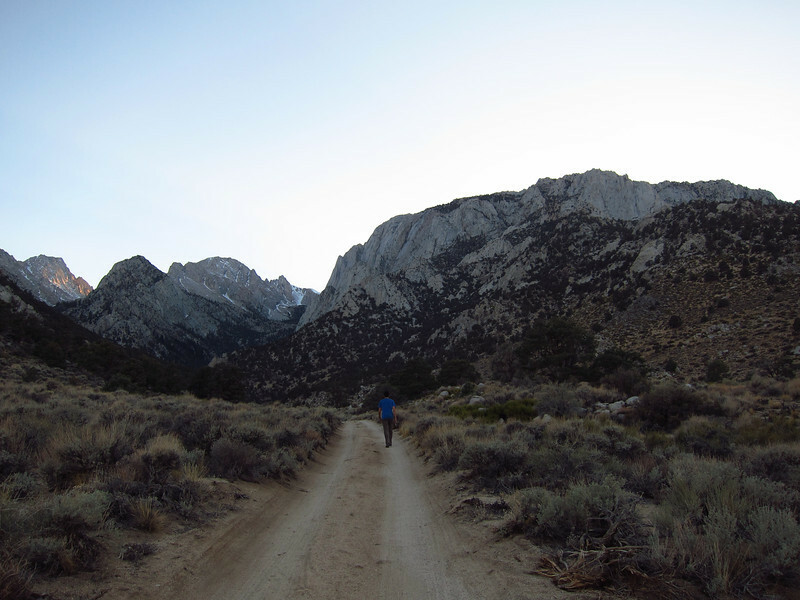 A word to the wise – just walk down the dirt road for a mile or two until the road doglegs sharp left as if heading towards Bishop. 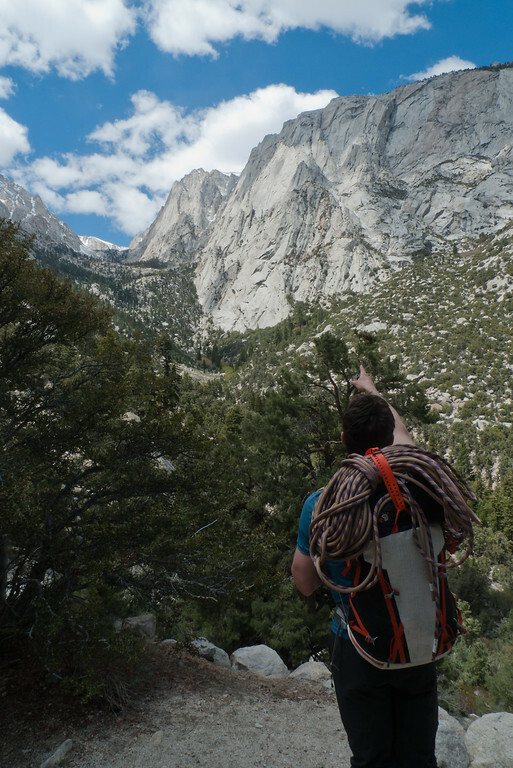 That is where you turn for the trail. 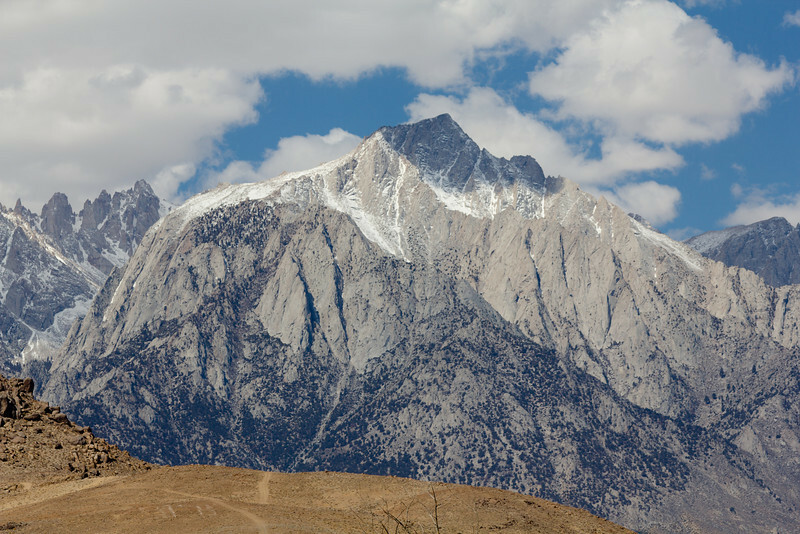 It is a long way past the car, unfortunately.